What, you thought I’d go and see The Who in concert and not talk about it?! Seriously though, I totally understand if you don’t get what I’m talking about as I fan girl over a couple of pensioners. 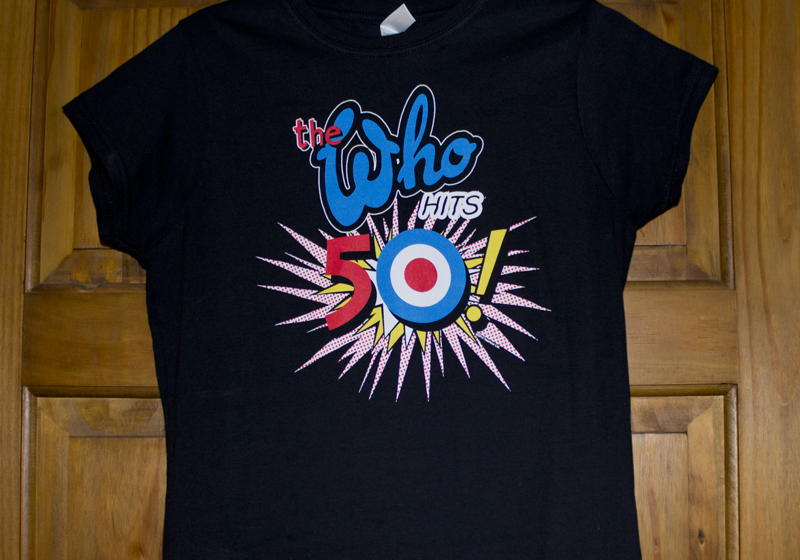 On Thursday night I went to see The Who perform at the Echo Arena in Liverpool as a part of their 50 anniversary tour. It was my second time seeing them live and I had high expectations knowing how good they were last summer. Roger Daltrey walked on stage carrying a cup of tea, while Pete Townshend showed off his “drugs” which were most likely to be ibuprofen given that he was suffering with a sore throat. They kicked off with I Can’t Explain; a song with possibly the most iconic introduction in music history. They performed all of the classics including Won’t Get Fooled Again, Who Are You, Pinball Wizard and Baba O’Riley (full set list can be found here). They also sang four songs from Quadrophenia (my favourite album) including 5:15 with John Entwistle’s bass solo and Bell Boy with Keith Moon’s vocals, just the same as the 2013 tour. There was one song in particular that surprised us all when The Who performed it. My Generation hasn’t been played live at a Who concert since 2009 so I had no expectations for it. 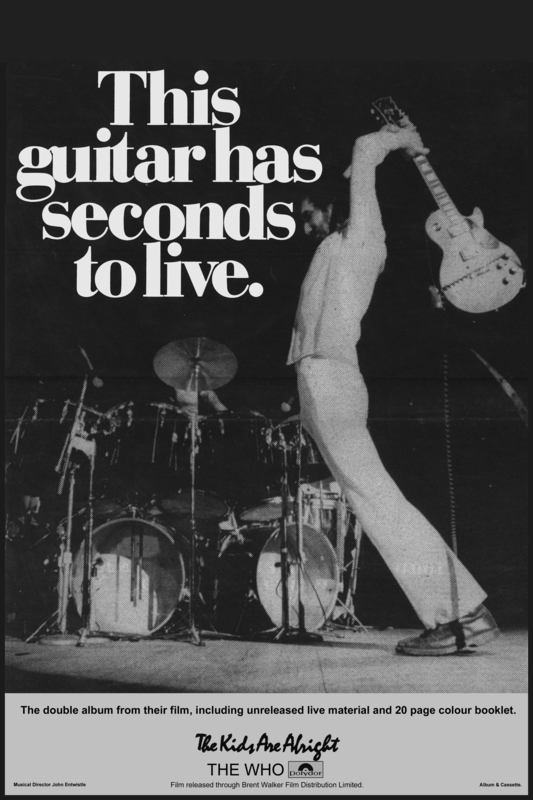 But when Pete Townshend started talking about a song that it is always requested but never perform I simply look at my parents and said “No, they are not. Are they?”. I could have cried with happiness when they performed My Generation. What were the chances of them performing the night I went to see them but not on any of the previous nights on the tour? I felt slightly guilty for the British fans who had seen them in Birmingham, Newcastle, Leeds, etc as they missed out, but it was probably thanks to them complaining about the absence of the song that we got to see it. Pete and Roger, now 69 and 70 respectively, kept us entertained with stories from the past 50 years and a little bit of background information about some of the songs. Pete made a comment about Liverpool saying that we have an airport with a proper name (John Lennon Airport) but that they should perhaps re-name the airport after Zak Starkey (The Who’s current drummer and son of Ringo Starr). My Generation was not the only thing that The Who did that they supposedly don’t do anymore. Pete smashed his guitar! His guitar broke mid-song and so he threw it down and picked up a spare. He also fell over at one point, probably due to the fact Roger had been throwing water around the stage. Overall, I’m happy to report that it was an incredible concert! I’m currently suffering with the worst post-concert depression as I’m sure this will be the last time I ever get to see them perform live. I know I said that last time but this time they’ve said it’s the end. I’m so glad this was great, I’m currently seething with jealousy, and it’s perfectly ok to fan girl over pensioners!